It could be considered rare for a relatively laid back northern Lower Michigan community to have such an eclectic mix of options to include in its choice for Top 5 Destinations. But if you know anything about Cadillac, this is pretty much business as usual. Visiting the KISS Monument and taking the KISStory Tour to learn about the special relationship with the rock band KISS, Hunting Morel Mushrooms, Stay-and-Play Golf at the top-notch Evergreen Resort, Hiking the Cadillac Pathway and Biking the White Pine Trail amid extraordinary natural beauty are all standard fare. These activities are within a short hop to the city of Cadillac for dining, shopping, sight-seeing and lots of additional fun and interesting things to do. You know your friends love you if they’ll share their hunting spots for the elusive Morel mushroom with you. If they won’t, come to Cadillac, because we’ve got ‘em. 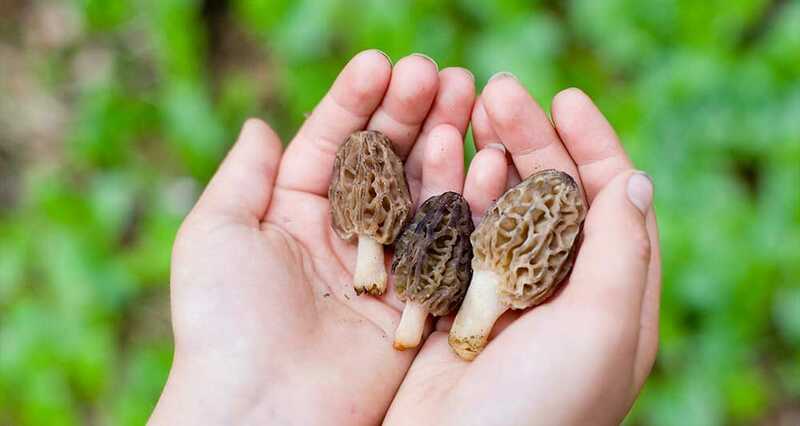 The several-hundred-thousand-acre Manistee National Forest, with its abundance of tree stumps, fallen trees and leaves and well-drained soil provide the perfect setting for this yummy and nutritious treat. A side benefit will be the visual delight of Michigan’s state flower, the delicate Trillium, also blooming in spring at the time Morels are at their peak. Learn more about the season & download a free informational brochure about hunting! Evergreen Resort is known for being a golfer’s paradise, with its two award-winning courses and spectacular setting near the Manistee National Forest and lakes Cadillac and Mitchell. Visitors will find first class amenities that include 117 cozy, recently redone rooms, an indoor pool, whirlpool, fine dining and a casual sports pub. Other outdoor activities include tennis courts on site and access to 200 miles of hiking and biking trails, bird watching, cross-country skiing and snowshoeing, making it a great choice as a four-season resort as well. Visit the resort’s website, evergreenresortmi.com to see the variety of Stay and Play Golf Packages available. Learn more about Evergreen Resort & The great golf packages they have! Once upon a time, wise Cadillac High School football coaches knew their team could play better than the stats showed. Correctly diagnosing that the team needed an energy boost, the coaches found the perfect option in the hard-driving rock music of KISS as a pre-practice and pre-game infusion. They also like the “Keep It Simple Stupid,” association with the name KISS. What the coaches couldn’t know was that the plan and its success would get back to KISS, and result in the band’s visiting Cadillac in 1975. KISS hung out with players, students and residents, played at Cadillac High School’s Homecoming Dance and appeared in the Homecoming Parade. Get the whole wild and crazy story when you take the KISStory Tour. 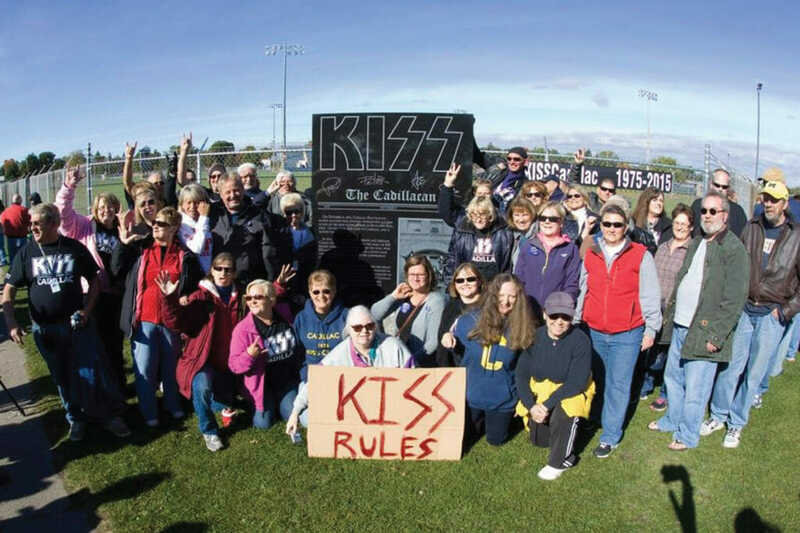 Visit the Kiss Monument at Cadillac High School/Junior High; Cadillac High School Stadium; Cadillac High School Gym; Downtown Cadillac’s Old City Hall for iconic KISS photos; Kiss Boulevard, scene of the Homecoming Parade; the Cadillac News Building plaque highlighting photos from the events. You’ll understand why KISS loves Cadillac! View our Interactive Visitors Guide to learn more and read about that epic day in history! If you enjoy easy nature walks, adventurous hikes or are more comfortable somewhere in between, set aside time for the Cadillac Pathway. Located three miles east of Cadillac, there are about 11 miles of trail with a variety of rolling elevations amid the beauty of a hardwood forest. Choose from a variety of trail options from short loops of one-to-four miles on mostly level ground and near the Clam River, or try the seven-to-ten-mile loops on more challenging terrain. There are bypasses around the three steepest hills so cyclists can avoid sharp descents if they choose. Learn more and download a trail map! In keeping with the abundance and variety of natural beauty that surrounds Cadillac, it makes sense that Cadillac marks the northernmost boundary of the White Pine Trail. 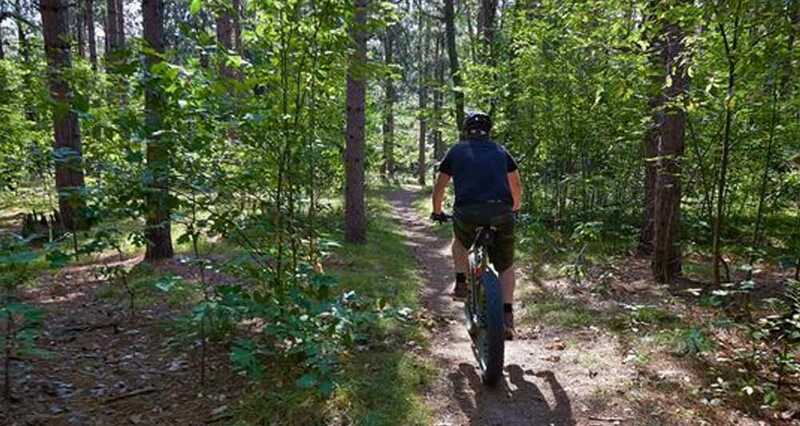 At 92 miles, it is the longest rail-to-trail Linear State Park in the State of Michigan and runs south all the way to Grand Rapids, and it is a great biking experience. In Cadillac, it connects to a larger local trail system circling the lakes and connecting communities. For the truly hardy who might like to make the entire trip, it has fantastic terrain opportunities, crosses five counties and 14 open-deck bridges, one of which is a 319-foot trek across the Muskegon River. In Cadillac the staging area is off M-115 south of Cadillac, and a Michigan State Park pass is required at parking areas. Learn more about the longest rail-to-trail in the State of Michigan! Learn more from our all new Travel Guide: Click here to request your own or view our online version now!